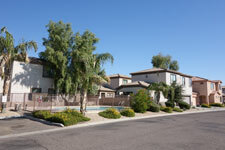 Let us manage your rental property in Sun City, North Las Vegas or Henderson. We care for an extensive portfolio of single family homes, townhouses and condos in Sun City, North Sun City and Henderson. Quality Maintenance & Repair. Our long-term relationships with Sun City' finest suppliers enable us to provide our clients with reliable, cost-effective maintenance and repair services, ensuring the value of your property stays strong. Sun City Summerlin is an age-restricted community. Completed in 1999, this was Del Webb's first foray into Southern Nevada active-retirement developments. Sun City is located in Clark County, Nevada (greater Las Vegas). The main rules for age requirements are that all residences must have one owner/occupant at least 55 years old, and no permanent residents under age 19. The 2,400-acre (970 ha) community is home to more than 14,000 residents and just under 8,000 residences. A unique feature of this community is that almost every home is a single story home ranging from 1,000 to 3,000 sq ft (93 to 280 m2). 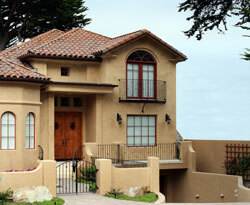 The community has three golf courses: The Highlands, The Palm and Eagle Crest. Professional golfer Billy Casper and architect Greg Nash designed these courses. Other amenities include four community centers, five swimming pools, and tennis and racquetball courts.